This is the remote control for some Panasonic heat pumps or air conditioning units. 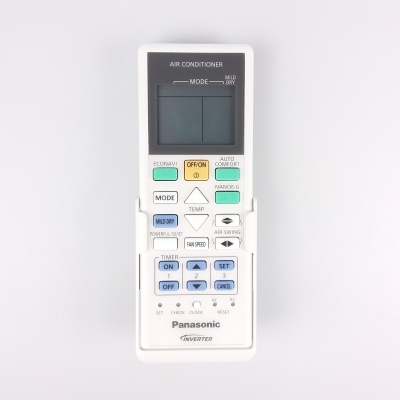 Note for model CS-E15HKR: Remote for this model is no longer available. Alternative part CWA75C4406 will do most functions but not all.